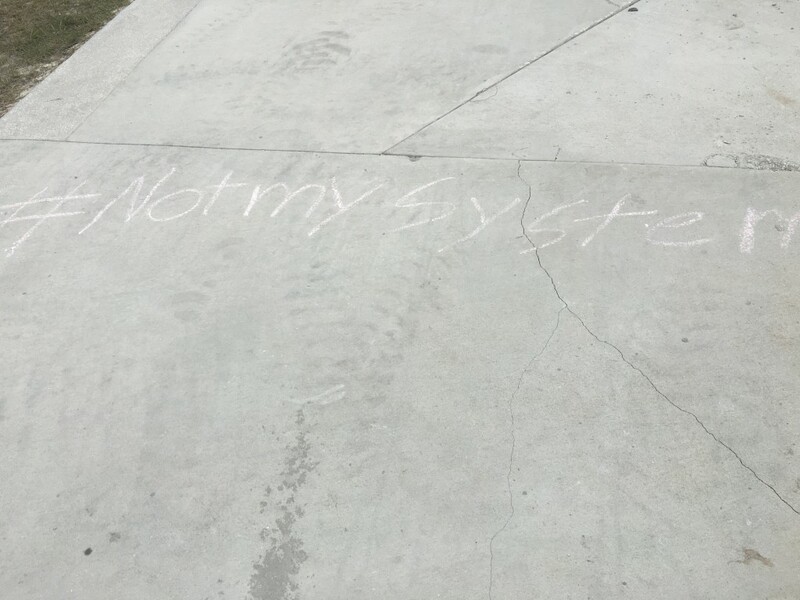 Campus was rocked yesterday after allegations of obstruction of the democratic process emerged from a new group called Not My System. 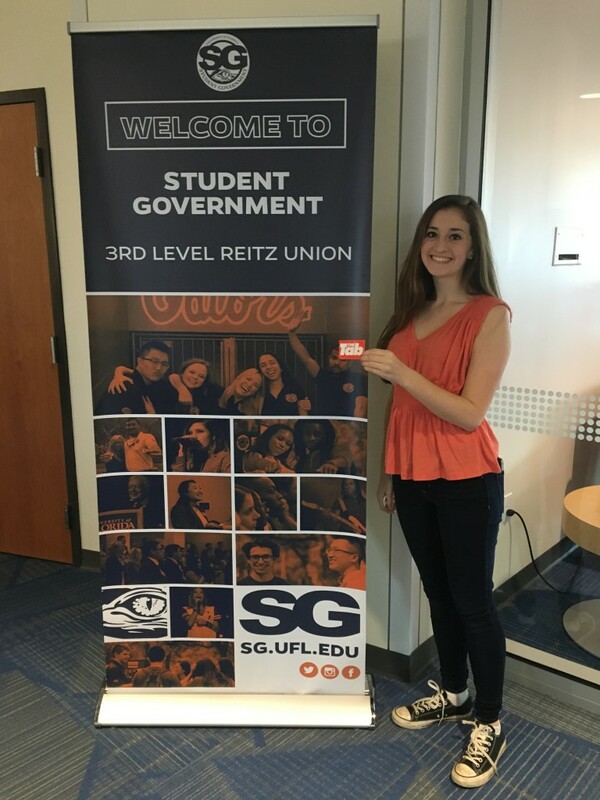 In a seven-minute video, Sabrina, a Political Science senior claimed “preference for organization titles and positions is given to Greek students”, and called for UF students to restore dignity to the UF political scene. 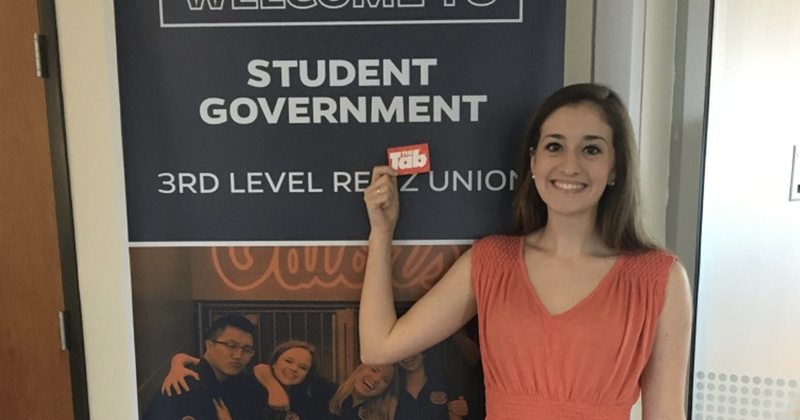 Other student politicians have since criticized Sabrina for the claims made in the video, casting doubt on the level of involvement she says she had within certain political factions. We sat down with her this afternoon to find out more. Why come forward with this now, the week of elections your senior year? 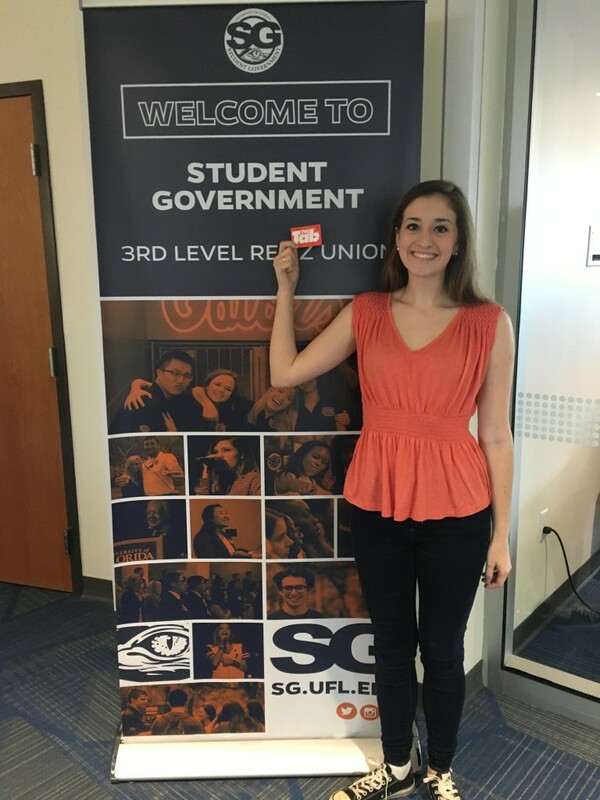 It is something that I have wanted to do throughout my time at UF, and especially starting last summer when I separated myself from the system. I knew that I wanted to do something to leave my mark and change the system, but I honestly just thought that it couldn’t be done. I thought that it was impossible. Over the past few weeks I started meeting all of these members of sororities and fraternities, people just like me, who also expressed their dissatisfaction and I realized that there is no better time than right now. We are nonpartisan, we will not endorse a party, but that we aren’t going to encourage people to vote, and to also support online voting because the reason the system is able to survive is because they rely on voter suppression and massive Greek mobilization. They have done so many things to try and shut down online voting, so that is what we are going to be supporting. We really just want everyone to feel safe at UF. Would you consider this system a form of corruption? When were you first asked to vote a certain way? When I first joined Senate, I was a permanent replacement senator for the District A seat. Christina Bonarrigo had just been elected to her seat and I applied for that seat along with Leah Miller, who is known for the Sketchy but Do It debacle. There was a lot of dissention over that because I had a very clear platform, I was very well prepared and, obviously, she had just been associated with that scandal. When a seat opened up the next week, when I applied for that seat, I was immediately approved and shortly after, she was nominated to be a Rules and Ethics member of the committee. So, that was the first time that I received a text message telling me how to vote and I really wanted to text someone back and say, “does this really make any sense?” I mean, how can someone on the Rules and Ethics committee, a member in the Alligator scandal, tell fraternities and sororities that they have to pay money and collect stickers and engage in all these unethical practices. But, I was a freshman, I was new to UF and I didn’t want to speak out. So, as I’ve gotten older, and I’ve gained more experience and met more people and realized that it’s not just me that feels this way about the system, I’ve gained the courage to come forward. It was that freshman year when I was first told to vote against my conscience. Have you ever voted the way you were asked to solely for that reason? When it came to things like appointments for replacement senators or committee seats, absolutely. There wasn’t anything too controversial while I was in Senate. So for example, I debated on behalf of Gators for Tuition Equity and that is something I supported and Swamp didn’t come out against that. So, yes, I did absolutely vote for things that I was told to. But in terms of voting against the system, I remember last year I didn’t vote completely the way I was told to despite being the Party Chief Strategist, which I think says a lot because there was a huge disparity in the number of votes that the presidential and vice presidential and treasurer ticket received, and all the different senate seats. So there is clearly a lot of dissatisfaction among Greeks. Can you tell me more about how you were “groomed” for a prominent role? There are different sororities and fraternities that carry more influence within the system than others, and I think that is one of the biggest misconceptions about the system. It’s presented as being beneficial to Greeks overall, when in reality, It’s only beneficial to certain sororities and fraternities. Even smaller than that, only certain members within those sororities and fraternities. So, being someone who is so involved with debate and public speaking, when I came into my sorority I immediately applied to get involved. I applied to be Junior Panhellenic President, which is actually how I first met Susan, we ran against each other. So, that is the first time we met, September of 2012. I just immediately presented myself as someone who wanted to get involved and that was recognized and after I got into that Senate seat because it was such a commotion when I wasn’t the person who was chosen. That was the first time I learned about bloc leaders because people started calling me and said, “all these bloc leaders are talking about you.” And I was like, “what is a bloc leader?” That’s when I was exposed to it. So, as a consolation, I was then given a District A seat the next week, which someone was forced out of. I was given a directorship within Florida Blue Key over a senior. There were all of these sort of positions that were gifted to me as a way to prepare me to be involved further on down the road. Because I presented myself as someone capable within a sorority with a lot of influence. Would you say some sororities and fraternities have advantage over others? A lot of that has to do with the break down of the blocs. The political bloc is the largest and most powerful, the social bloc is the second largest, and the third bloc is the smallest and it’s the one that often has the sororities and fraternities that are neglected and don’t get as many positions. It’s actually interesting, because in order to be tapped into Florida Blue Key, you have to have the support of the political bloc. So either they’ll form a coalition with social and third, but they can’t unite on their own against the political bloc. Again, there is so much fighting within the system and definitely most sororities and fraternities are disadvantaged. It is very few that hold on to power, and they hold on to it for years. Because bloc leaders aren’t elected democratically, that position is passed on to someone within that sorority of fraternity. Have you ever asked people to vote a certain way? Personally, no, because I was never the majority party leader or the senate leadership. So I was not the person who would text those people. Typically, the majority party leader is the one who sends out the text. I haven’t been in Senate for two years, so I am not sure if it’s changed, but I was never one who told people how to vote. In terms of communicating with our Greek organizations, absolutely, I told people to go vote for Swamp Party on election day. It does need to be noted that a lot of organizations will remain nonpartisan and just encourage voting. That’s another part of the reason I want to come forward. Because as someone who is Greek, I feel this system is anti-Greek, and we want this movement to be pro-Greek and help empower the Greeks. What should we expect from the Town Hall tonight? We are really excited to be having this Town Hall and we have contacted all of the administrators and student leaders we have identified. We have not yet received any formal acceptances, but that is to be expected. I am sure there will be some sort of strategic response on their part on whether they will show up or not. Regardless of that, we have contingency plans, and we do know exactly what it is that we want to talk about. More than that, a big thing people want to know is what next? What is the solution? You want to it break down and then what? We have a very specific and detailed plan and we will be presenting that tonight. I think that is really going to be a highlight, knowing what is the next step of this movement. I think people are under the assumption that it is just this election, but it goes far beyond that. We will not stop until our demands are met. This is not specific to one campaign, to one party, to one election. This is about the Gator good. We really want to talk openly about the system. It is something that is whispered about, secrets of information that is passed on. There’s never been a completely open or transparent conversation about it. If we really want to be open and transparent, we need to invite administration in on it because they do know that it is occurring, but I think that because of the donor connection to past system members, I think that they might also be afraid of speaking out themselves. So, hopefully, we can also show that we are in solidarity with our administrators and that we all need to come together to take down the system because it is bad for UF. With the latest comments coming from the Impact party denying any affiliation with you, how can you show students your statements are true? I do have extensive documentation clearly linking myself to the creation of Impact. However, I do not want to get myself into a back and forth, so we will not be responding and stay on message because we don’t want to be partisan. We don’t want it to seem like we are supporting one party over the other. Not My System is not just about this election. If the system party wins this election, we will be back. They know the truth; we have documentation to prove it if it is necessary. Right now, we are going to stay on message and fight for students and what is best for them. Did you know it was going to go this viral? So, I think I am amazed at how viral this has gone and I feel so supported because despite a few negative comments, tens of thousands of voices have joined mine and supported Not My System, and that means a lot to me. I am really happy and proud of what I am doing. We can’t let this excitement or momentum be forgotten, we need to build on it and have a concrete plan to end the system. We are really excited to be presenting that tonight. How have your sorority sisters reacted to this? They have been supportive and I am very grateful for that. I encourage them to take any stance that they want on this issue because part of what Not My System advocates is this ability to communicate your political beliefs without fear of retribution. I 100 percent support anything that they believe. I just want to clarify that none of that came from sorority members. That came from system party members and bloc leaders. Do you think that is going to get worse after this video? The thing is, I just remember these are a few individuals that know that they are lying to themselves are not getting that much attention, and me speaking honestly has received tens of thousands of views. I am just trying to focus on the support. Any sort of negativity I’ve seen has been public slandering and I’m just going to ignore it and focus on my message. I really just want to say Not My System is about students coming together in the best interest of the university. I think what we really need to do is reevaluate our student government… completely. So many rules have been put in place that support the system, and we really need to reconsider why it is that an institution that annually allocates $21 million to the student body is allowed to escape with this high level of corruption.